This past Thursday in Wrigleyville, concertgoers waited single-file in the cold to gain entrance to Metro, a venue with a capacity of 1,100. 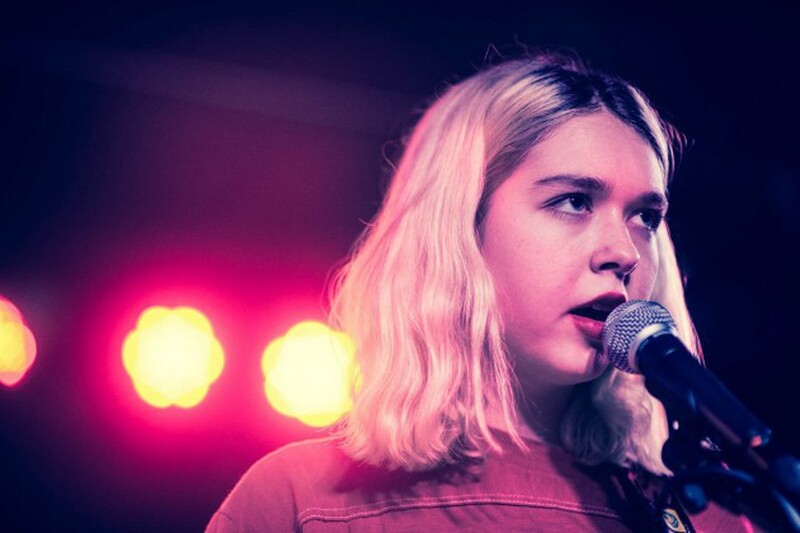 This was to be Snail Mail’s first show of 2019, and it had sold out back in mid-December. All 1,100 of us packed into the house, waiting for Lindsey Jordan, the 19-year-old singer-songwriter of the band, to perform. At around 11, Snail Mail took the stage, raising cheers from an audience antsy with anticipation. She opened with “Heat Wave,” immediately curing my Chicago-induced seasonal depression. I was blown away by the sheer magnitude of her voice—it reverberated throughout the theater and rose and fell through a dizzying range of emotions. Recordings fail to capture the nuances of her voice; it wasn’t until seeing Snail Mail live that I completely realized her power. Snail Mail’s trademark style of singing could be described as melodic wailing, and that, for me at least, can sometimes obscure her lyrics. However, this is not so in person. Her live performance positioned her simple and disarmingly poetic words front and center. On “Pristine,” she asks, “Don’t you like me for me? / Is there any better feeling than coming clean? / And I know myself and I’ll never love anyone else / I won’t love anyone else / I’ll never love anyone else.” As I screamed these words along with her, I was struck by Snail Mail’s ability to convey a sentiment so clearly and concisely. With broad strokes, she writes about asking for acceptance from a person you love, a message that resonated profoundly with all of us screaming audience members. While singing, she perfectly captured the urgency one might feel when asking a desperately honest question—Don’t you like me for me?—or perhaps, the moment(s) of panic after sending a potentially risky text. Vulnerability isn’t easy for anyone—not even Snail Mail. Between songs, she chatted to the audience, and in those moments the distinction between her band’s online persona and Lindsey Jordan became apparent. Her body language was cool and relaxed, and she had a candid way of speaking that felt as though she could be your oldest friend. Throughout the show, Jordan slipped in and out of her well-crafted Snail Mail persona effortlessly. Between stanzas, she made faces at her bandmates, and talked and laughed with them out of earshot of the microphone. She looked lost in thought while playing, and sometimes furrowed her brow during riffs, focusing on remembering the chords of songs that hadn’t been played in a while. At one point, as she surveyed the crowd, she remarked, “We’ve played Chicago so many times, I recognize at least 11 people,” prompting scattered whoops from (presumably) those devoted fans. Considering the emotional maturity of her lyrics, which earned Lush the No. Five spot on Pitchfork’s list of best albums of 2018, it could be easy to forget Jordan’s age—two years younger than myself. But in her moments on stage, not as Snail Mail, but as Lindsey Jordan, it became obvious that she’s still a teenager having a great time, making music with her band—just with over a thousand people watching. Near the end of the show, the rest of the band exited, leaving Jordan the lone figure on stage for the final two songs. Fittingly, she then played “Anytime,” a moving refrain about the absence of a former love and adjusting to the consequent solitude. The song both tested and showcased the full extent of Jordan’s vocal ability. She held notes out for longer than in the recorded version, and after belting for the past hour, her generally vigorous voice sometimes gave way to a slight crack. Unfazed, she would simply sing the line again, and with repetition her lyrics only took on greater meaning. Before “Stick,” her final song of the night, she asked for the crowd’s patience, mentioning that she wasn’t certain whether she recalled how to play it. “I don’t even remember what this is about, to be honest,” she commented, while taking a moment to strum vaguely until her muscle memory kicked in. After playing the opening perfectly, she asked the mic through clenched teeth, “Do you dream about the people that wrong you?” And once again, she was Snail Mail.